Deficiencies aren’t always easy to diagnose and sometimes the reason for the deficiency is even harder to uncover. 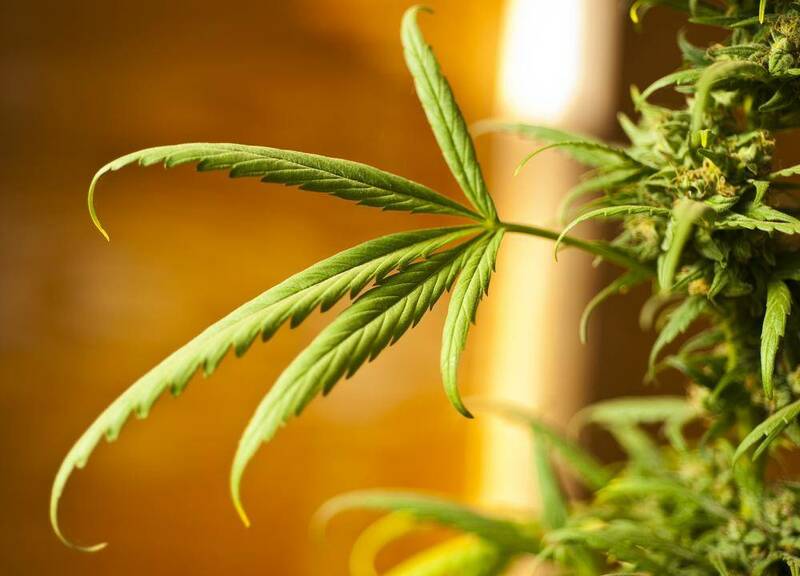 The following is a list of common deficiencies found in a marijuana garden, common symptoms, and a suggested treatment. 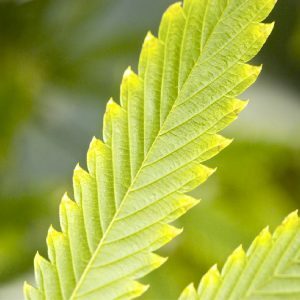 Plants deficient in nitrogen will display pale or yellowing leaves starting at the bottom of the plant and working their way up to the top of the plant. Treat plants with a fertilizer with a high nitrogen content. Foliar sprays of soluble fertilizers that contain high nitrogen can help relieve the deficiency faster. Plants exhibit slow or stunted growth regardless of how optimal environmental conditions may be. Red stems and smaller than normal, dark green leaves are signs of a lack of phosphorus. Lower leaves yellow and eventually die. Feed with a blooming fertilizer that contains a heightened amount of phosphorus. The most identifiable symptom of potassium deficiency are dead, brown spots forming on the lower leaves. Leaves may also yellow and die. Add soluble fertilizer with sufficient potassium or make a tea out of K-mag for foliar or drench application. Lack of calcium will generally cause the medium to become acidic, which can cause a series of other problems (Mg or Fe becoming unavailable for absorption). Hollow stems found on harvested plants is a sign of inadequate calcium. Add a calcium supplement to fertilizer regiment and foliar feed with 1-2 tsp per quart of water with dolomite lime. Sulfur deficiencies are usually displayed by yellow new growth. To help this deficiency, use 2-3 tsp of epson salt per gallon of water as a foliar or soil drench. Plants without sufficient magnesium will exhibit yellowing leaves on the lower portion of the plant and in some cases will turn white. The veins of the leaves will remain green. Leaf blades can crisp and curl upward. Treat with 2-3 tsp of epson salts per gallon of water as a foliar or soil drench. New, growing shoots appear burnt, brown, or grey. Can be treated with boric acid (1-2 tsp per gallon of water) as a foliar or soil drench. Plants that have white areas on leaf tips or intermittently between leaf veins are displaying a zinc deficiency. This is a common problem in soils that are or have become alkaline. Test pH first. If pH is in check, than a foliar spray with a soluble fertilizer containing zinc is the best option. 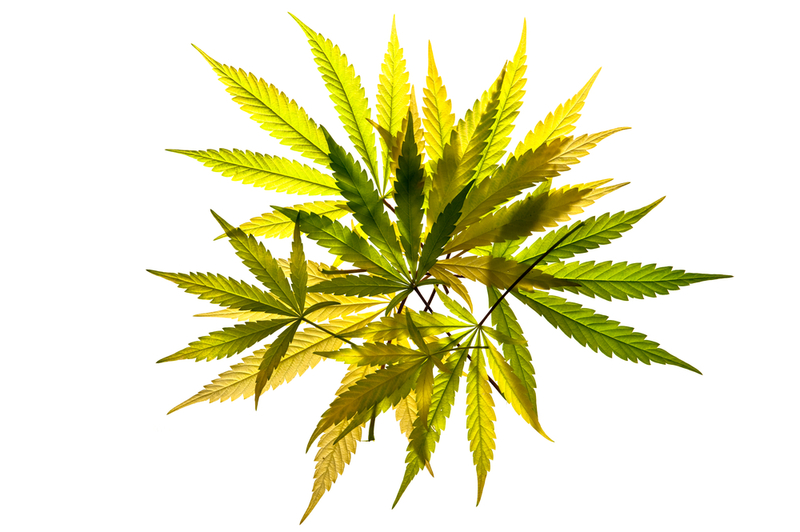 Plants with a molybdenum deficiency will display yellowing leaves in the middle of the plant. Foliar treatment with a soluble fertilizer containing molybdenum is the fastest solution to this problem. Many times over-fertilization is misdiagnosed as a nutrient deficiency. If there is leaf burn starting at the tips of the leaves that works its way up the “saw blade” of the leaf it is probably due to over-fertilization. Leach the soil with a diluted fertilizer (1/4 strength) and wait until you see signs of recovery before increasing fertilizer strength. In hydroponics, change nutrient solution and replace with 1/4 or half strength. Slowly increase PPMs as the plants recover.